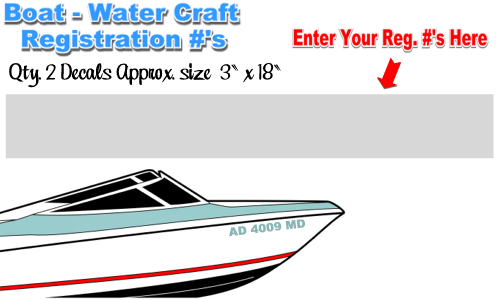 Pre-Spaced cutom cut vinyl decal registration ID's for boats and watercraft. Enter your ID #'s in our design tool for easy ordering. 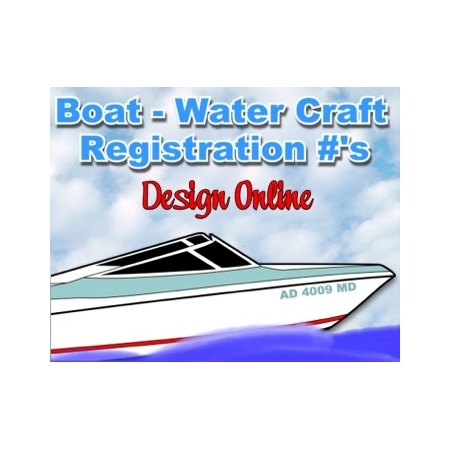 Forget trying to apply those cheap hardware store mail box numbers and letters to your quality boat or watercraft. 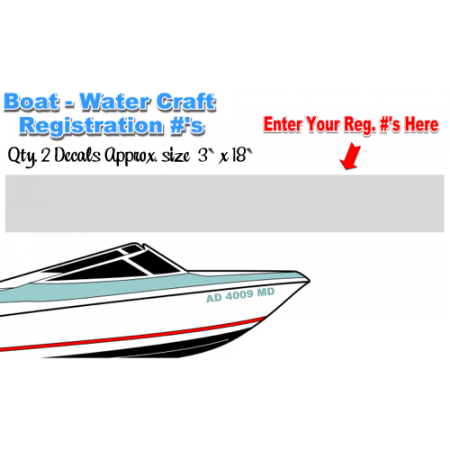 Easy to order and great pricing on pre-alinged boat ID's that are ready to install and look great. Made from long lasting vinyl material, resist fading cracking and peeling for outdoor and marine applications. Select from many popular colors. These are 1 color cut vinyl decals that have no background color or clear. Comes on application tape to apply as one decal. "See example image below". Typing in your ID's into the designer above will give you a better idea of what your font choice will look like. 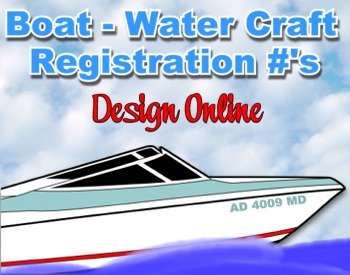 We will properly space your registration ID before we make them. The overall size will be approx. 3"x 18" with application tape applied and ready to install. You will receive a set of two, one for each side.